Toronto masonry repairs cost your business money, and these costs increase if you can’t stay open for business during construction. Setting up containment barriers, working in small zones and limiting construction hours are just some of the ways you can keep your doors open during construction. 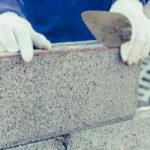 First and foremost, you must hire masonry experts with plenty of experience working on commercial locations that are open for business during construction. Messy masons, unprofessional behavior and other issues can negatively impact your business and customers, even though you and your staff have nothing to do with it. In some instances, you may need to close shop for a day or two while certain parts of renovations are completed. This all depends on what types of repairs are conducted. We can help you determine if and when you should remain open for business. Before mason repairs are scheduled to start, we welcome you to talk to us about your needs in regards to staying open so we can help you accomplish that if possible. Take into consideration if you can still deliver the level of service your customers expect despite ongoing repairs. We recommend doing a cost-benefit analysis to ensure it pays off to stay open for business. 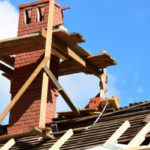 It might cost more money to conduct repairs in a manner that allows you to stay open, for instance working in small sections or only during certain hours, so be sure to factor in those costs as well. 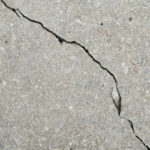 Some industries may not be able to stay open during certain types of masonry repairs. For instance, restaurants must be careful that they follow in line with all health and safety codes. This is typically not an issue if masonry work is being conducted on the exterior of the building. The number one goal is always to put safety first above all else. 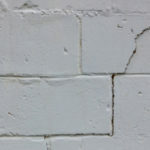 We are more than happy to discuss safety codes with you to determine the securest way to go about staying open for business during masonry repairs. You might be able to reconfigure offices or shut off one building at a time so that you only close down parts of your business at once. The construction process can move through different zones so that there is always a part of your business untouched by construction. You can limit the number of hours construction takes place in order to keep your doors open. In doing so, you will extend the time it takes for the project to be completed, meaning it could cost you more money to complete repairs. A cost analysis can be used to determine if it’s worth it or not. Prior to conducting repairs it’s important to alert everyone that will be impacted, including customers, employees, tenants, etc. You might want to provide notification as soon as a couple of months ahead of time, and at least one month ahead of time. This gives people plenty of time to prepare, especially if you are undergoing long-term renovations. Let people know through a variety of measures; face-to-face, email and posting signs about renovations around the property are all good techniques. Containment barriers serve a variety of purposes. They help contain poor air quality as well as other health and safety concerns. Consulting with air quality experts can help you ensure the air is safe during construction. You may need to adjust your central AC system in order to prevent it from carrying particulates from construction zones into work areas. You may also need to pressurize certain rooms. 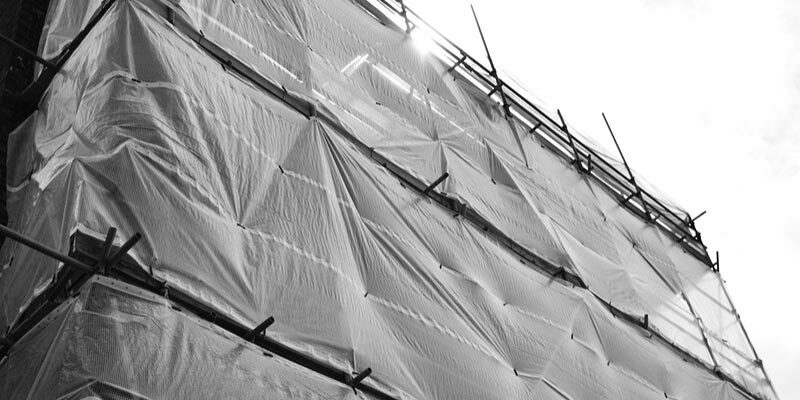 Containment barriers can be further aided by designating unoccupied zones between construction sites and your business. These buffers lower the risk of issues related to noise, poor air quality and human health issues. Someone should be designated in charge of taking complaints. This same person is in charge of consulting with management and contractors in regards to any changes in the construction plan. Keep everyone updated with frequent progress reports. Word-of-mouth isn’t going to cut it. Create a streamlined system, such as an email chain or bulletin board, in order to keep everyone informed at all times. Customers might be deterred to frequent your business if they see a lot of construction going on around it. They might even assume you are closed. Put up signs and run promotions in order to entice customers despite all of the hammering and dust. Offer a free gift with purchase or a certain percentage off during construction to keep customers coming. Turnbull Masonry has ample experience working on businesses that remain open during repairs and construction. We vow 100% professionalism in order to uphold the morals of your business at all times.